The special Easter weekender with 5 parties in 5 days. Marathon! You are here: Home / reviews / Event Reviews / Jammy’s Special Easter Jaunts: 28.03 – 01.04 – Ostgut Ton, Get Diverted, Fabric, Fuse and Lost. Jammy’s Special Easter Jaunts: 28.03 – 01.04 – Ostgut Ton, Get Diverted, Fabric, Fuse and Lost. Plain and Simple’s roving reporter/man about town and clubbing addict Jammy brings you his eye view of the event he was partying at in the last week… This time he spent his special extended Easter jaunts at Ostgut Ton, Get Diverted, Fabric, Fuse and Lost. So, stepping onto the dancefloor, the first thing I noticed was that it was quite wide. The dancefloor was beginning to fill gradually and the music was flowing with Barker and Baumecker playing their live set. I have seen them play before and I really liked their live set. It was a nice warmup to what was going to happen later on in the night. Their setup looked incredible as it took the whole table up with cables and wires all over the place! They played for an hour till 00:30 until Function came on until 02:00. He is one half of Sandwell District and he played a really good DJ/live set and it was the first time I have seen him play on his own. He really rocked things and by then the crowd filled the place comfortably and the techno was rolling! Next up was Fengler. Another DJ who I have seen before and he was ok, not the best I have seen him play before but nonetheless he kept up the energy and groove that the crowd wanted. 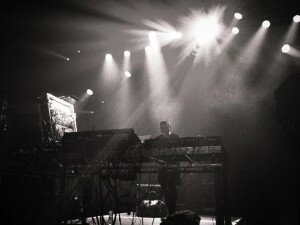 He was on for an hour and a half till 03:30 and his raw techno worked well throughout his set, however for me there was just something that was missing, but it was fine as I was still having a good time. Next on the lineup was supposed to be Robert Hood, but for some reason Shed came on next for his hour live set. Shed started off well, but never really got to the stage where I fully enjoyed his set, again something was missing from his set. I have seen him play many times and he has always impressed, but this time he didn’t really appeal to me as such. 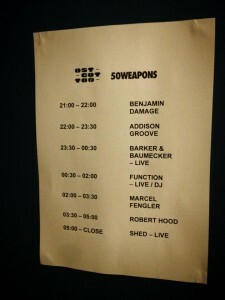 This wasn’t a huge problem for me as I knew Robert Hood would do the business and he did! He smashed it at the end and his set was the highlight for me. I even managed to catch him dropping James Ruskin – Work (Steve Rachmad remix) on video which was pretty cool to see and watch the crowd react to. I stayed until the last 10-15 minutes of his set as it was nearly time for the afterparty to begin! The next step of the Easter jaunt was the very special Get Diverted Easter opening party at Brixton clubhouse. Run by good friend Rob Alldritt, this party has been running for a few years now as a summer daytime/night-time party bringing the best in underground house and techno to the terrace. I have been to many a party there and I strongly recommend going to one. As the summer sets in (hopefully!) the party comes to life, packing the covered terrace outside basking in the warm sun and also as time goes on, the party can be moved into the actual club inside. As I got there quite late on, around 10pm Friday evening, the terrace was packed with the brave clubbers out in the cold with the heated lanterns keeping everyone warm! 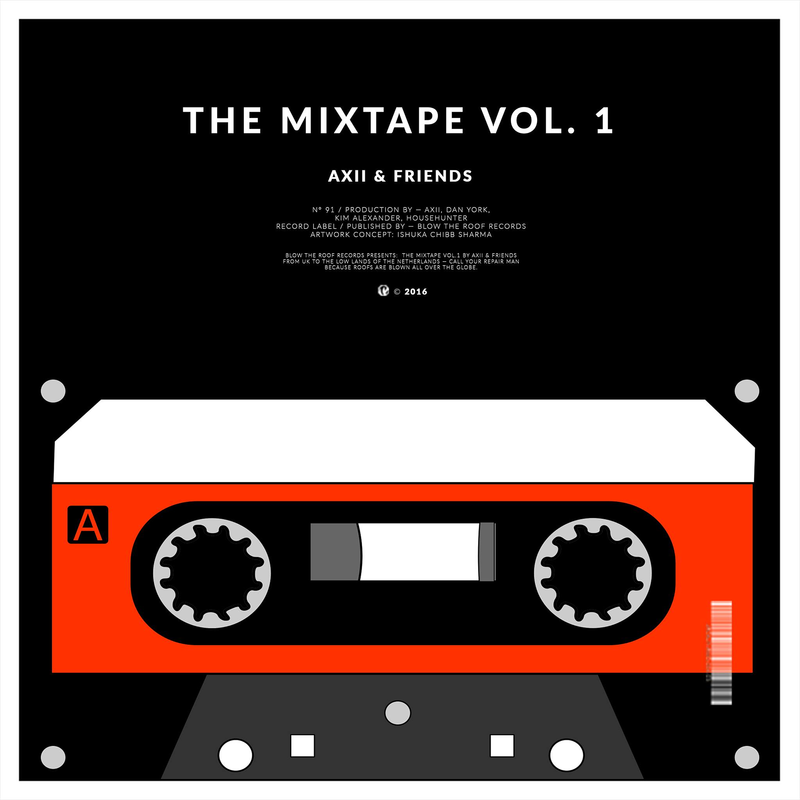 I managed to catch ‘Friend Within’ (Dirtybird) who was dropping some really nice groovy house with odd bits of old school garage here and there, which in a weird way worked! By around 11pm the main room was open and Sierra Sam (live) (Souvenir music) was playing. Again another first time DJ for me to cast my eye over and his really groovy bassline tech house really made for a good vibe and atmosphere inside. The club was packed and it was good to see everyone enjoying themselves. I was really impressed with him and also the next person to come on, who was the headliner: Basti, one half of Tiefschwarz. He came on and carried on the groove and was a great booking for Get Diverted’s first opening party. The crowd loved the tunes and the opening party was a great success. Last to come on to wrap things up was resident Rob Alldritt who played a cool set. I’m looking forward to the summer for when Get Diverted really comes into its own! What a great Friday jaunt! Next up on my Easter adventure was Fabric on Saturday night. 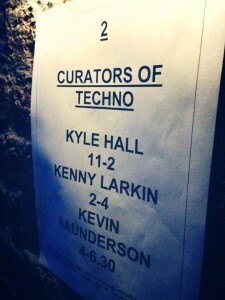 This was a really special lineup for me as room 2 of Fabric had the curators of Techno playing: Kyle Hall, Kevin Saunderson and Kenny Larkin playing. Detroit Techno has always had a place in my heart and this was the sort of techno I was listening to back in the day and which formed my own opinions of techno. To understand techno, you need to start from the beginning, the roots of it all and build from there. 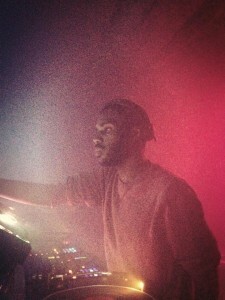 Kyle Hall was on from 23:00 – 02:00, Kenny Larkin 02:00 – 04:00 and Kevin Saunderson 04:00 – 06:30. I arrived around midnight and it was nice to catch a really cool warmup from Kyle Hall, someone I have never seen before, but heard a lot about. His sound was very funk driven and it was really interesting to hear his track selection and take on the great sounds that he was giving room 2. He also played up in room 3 afterwards. Hall is the next wave of Detroit artists pushing through and I definitely recommend you check him out if you love the Detroit sound. He was very impressive. Next up was Kenny Larkin. Another DJ who I had never seen before and he was very cool. Nice rolling bassline tech house was what he delivered and by the time he came on the room was comfortably filled. It wasn’t fully rammed (probably because room 1 had Visionquest playing) which was good and there was lots of space to dance in. Larkin continued with a really nice second hour of jacking techno and he was a great pleasure to watch and listen to. Again you could feel the Detroit groove that came out in his tracks. I never left room 2 because the music was that good! Last but not least came Kevin Saunderson, one of the creators of techno alongside Derrick May and Juan Atkins (‘The Belleville Three’). Head of record label KMS, Kevin Saunderson spent the early years of his life in Brooklyn, New York, before moving to Belleville, Michigan, a rural town some 30 miles from Detroit. He came on to a great ovation, and for me, he slightly tipped the balance as best set of the night. His enthusiasm and groove and all round technical skill was pretty amazing and again, another DJ who I hadn’t seen play before. It was such a treat to see all 3 of them play one after the other. A Detroit treat! He dropped his track ‘Bassline’ (Joris Voorn remix) which sent the crowd pretty crazy and it was really cool to hear that out! One of the best Fabric session’s I’ve been to in a while for me and the three of them really delivered Detroit techno to its finest! A great Easter Saturday jaunt! 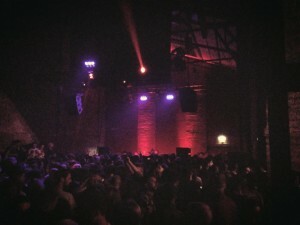 Next up on the Sunday was a quick stop by to Fuse at Village Underground. I popped there to catch a few friends and to fill some time before my last jaunt and by the time I got there the queue was extremely long and wound its way round the corner. I did arrive quite late and that was probably one of the reasons why. Many people I saw get knocked back which was a huge shame for some people! Their headliner was Maayan Nidam and she was actually pretty decent for the sound of Fuse. The place was packed and the usual Fuse crew were out to celebrate a great Easter Sunday! 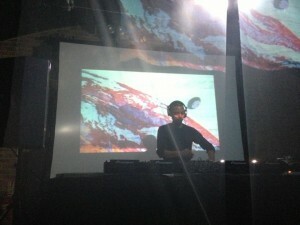 I didn’t stay for too long as my next party was Lost with Jeff Mills. The last jaunt report was the very successful and long running party: Lost. Headed up by Steve Bicknell. This party has been running since 1990 and has become one of the largest and most influential in the Techno and underground scene. Their Easter Sunday party was headed up by the Wizard himself Jeff Mills presenting his ‘Something in the Sky’ performance. Also playing was Bicknell, Moritz Van Oswald, Plaid and Mario. The event was held at Fire in Vauxhall and it was the first time for me there. Recently Fire has held quality nights there and this one event suited the venue well. As you went through double doors, the main room opened out with the bar at the rear with an elevated stage on the right looking down onto the dancefloor. The main room wasn’t open yet. Mills was to open it at midnight – 04:00.